Can Costco Travel Deals Save You Money on Your Next Vacation? Members enjoy exclusive discounts on vacations, hotels, car rentals and cruises. Costco members already enjoy everyday savings on a wide range of essentials, but did you know the retailer also sells travel packages at a discount? We're taking a look at who can benefit most from Costco vacation deals as well as the different options available for store members. Read on for a complete review of Costco travel perks and a list of the current offers up for grabs this month. What Are Costco Vacation Deals and Who Are They For? 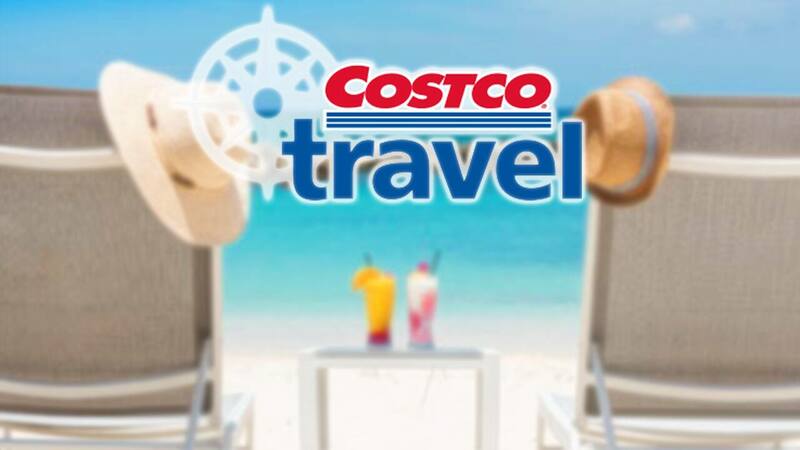 Costco Travel offers savings on vacations, hotels, cruises and rental cars to Costco members who reside in the United States. According to the retailer, it "uses its buying authority to negotiate the best value in the marketplace and then passes on the savings to Costco members." Browse by your preferred destination, or narrow down your options by all-inclusive resorts, cruises, family trips, safaris, theme parks, guided vacations and more. You can even use the site just to book a hotel stay or secure a rental car. Executive-level Costco members earn the biggest incentives with annual rewards on their Costco travel purchases, but all members can snag solid deals on vacation packages. These all-in-one offers are competitive with those we've seen on Groupon and Travelocity, plus Executive Members enjoy extra benefits like room upgrades, food and beverage credits and spa credits. Overall, Costco Travel is perfect for members who want a simple, easy and cost-effective way to plan a vacation. If you're looking for the absolute cheapest prices or the most "authentic" boutique hotels, this service may not be for you. But it's certainly ideal for Costco travelers who want to take the stress out of planning. Not in the club? Costco's annual membership fees range from $60 to $120, and our forums are always buzzing about slick membership deals throughout the year. Check out the different membership tiers to decide which level is right for you and your needs. One of the newest features of Costco's travel program is its exclusive perks for Gold Star Executive and Business Executive members. These memberships cost $120 per year plus tax, and they're typically the best options for members who plan to purchase Costco vacation deals. Executive members earn an annual 2% reward on all Costco travel purchases. This reward is applied after the vacation is completed, and excludes taxes, fees, surcharges, gratuities, trip protection and third-party extras. In addition, cardholders earn 3% cash back on Costco travel purchases when they use the Costco Anywhere Visa Card by Citi. Executive members also receive perks like room upgrades or food and beverage credits. These bonuses are listed on each vacation package and often give Costco an edge over its competitors. Just like its huge inventory of warehouse items, Costco vacations are carefully selected by its team of buyers. Members can expect a discounted vacation experience without worrying about quality. But the best part of booking a vacation through Costco is the retailer's upfront pricing. The quoted prices for hotels, vacation packages and rental cars actually reflect all the included taxes. Cruises are the only exception to this rule. This overall transparency means you don't have to calculate a bunch of hidden fees to figure your total out-of-pocket cost. That said, it's still smart to shop around. Travelocity and Groupon both beat Costco's price on vacation deals every so often, so it really depends on the package. Curious how Costco's vacation deals stack up price-wise to the competition? Consider the club's current Moon Palace Jamaica Package. If you were to purchase two roundtrip tickets from Los Angeles to Jamaica, the Concierge Level hotel room, and shuttle transfer separately, you'd be out a grand total of $4,140 for a five-night stay. The Costco package, however, adds up to just $4,076 for everything — plus, you'll receive a $370 Costco Cash Card and a $100 tour credit with your purchase. The discount itself isn't that significant, but the time you'll save (in addition to the $370 Costco Cash Card) make it well worth your while. Costco also makes it easy to secure a rental car at a discount. Members can utilize the site to compare the best offers available from companies like Alamo, Enterprise, Avis and Budget. It's way less labor intensive (and often less expensive) than combing through all of the different options yourself. The primary driver must be a Costco member and may need to show their membership card at pick-up. Additional drivers don't require a valid Costco membership card, but they'll still need to meet all renter requirements and appear at the rental counter with the primary renter. They'll also have to present a valid driver's license and a major credit card in their name at the time of rental. Costco car rentals are offered in Canada, France, Germany, Ireland, the Netherlands, Spain, the U.K. and the U.S. (including Puerto Rico and the U.S. Virgin Islands). Whether you're booking a romantic cruise for two or traveling with a large group, Costco has plenty of deals from a wide range of cruise lines. Members can choose from family getaways, company outings or adult-only parties. Plus, they can score extras like Costco cash cards or shipboard credit when they book their cruise with Costco. All incentives are outlined, so you'll know exactly what you're getting with each vacation package. The listed price of your cruise includes accommodations, onboard activities and entertainment, and most onboard meals and snacks. Of course, you may incur extra costs from gratuities, specialty restaurants, alcoholic beverages, casinos, spas and more. We suggest looking at Costco's Kirkland Signature and Buyer's Choice sailings for bigger values and extra amenities. If you need to change or cancel your reservation, contact Costco Travel as soon as possible. You'll need your booking number handy, and cancelation fees may apply to vacation packages and cruises. Fortunately, no fees apply to rental cars with the exception of some prepay rates. You can even cancel the rental reservation online. Revisions, cancelations, and refund policies vary by airline, cruise line, hotel, and other suppliers. In all instances, no-shows are nonrefundable. Cancelation of your vacation package will result in supplier fees, if applicable. Cancelation of the flight(s) portion of your vacation package may be nonrefundable and nontransferable. Occasionally, the value on the canceled airline tickets may be used to rebook future air travel at a later date. Airline fees will apply on a rebooked ticket. The rebooked ticket must be on the same airline. Travel must be completed within one year of the date that the original ticket was issued. As a general guideline, it's best to inquire about refund policies while booking your trip. The following promotions are available for a limited time only during February 2019. Any product or service prices/offers that appear in this article are accurate at time of publish and are subject to change without notice. Please verify the actual selling price and offer details on the merchant’s site before making a purchase.